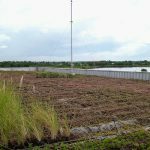 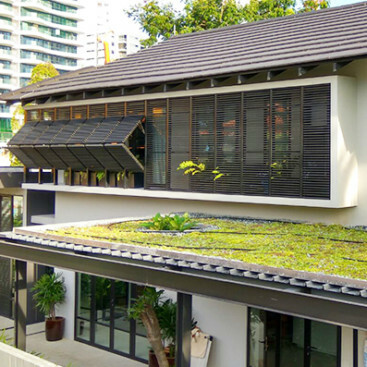 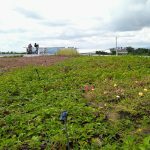 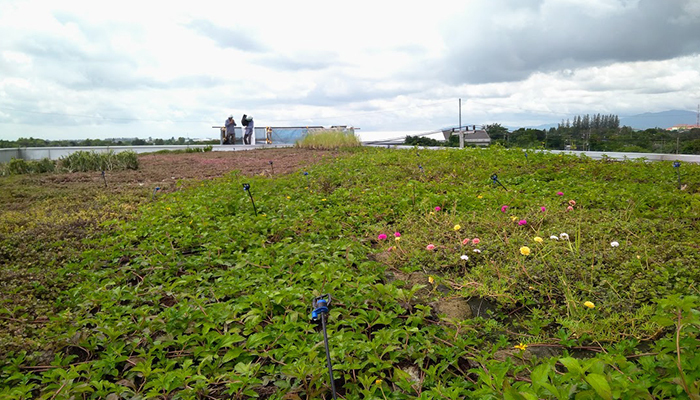 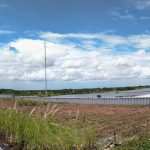 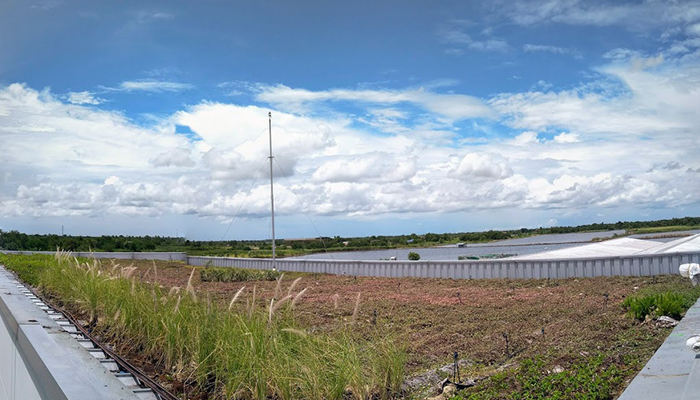 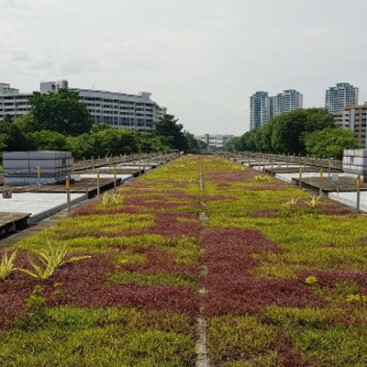 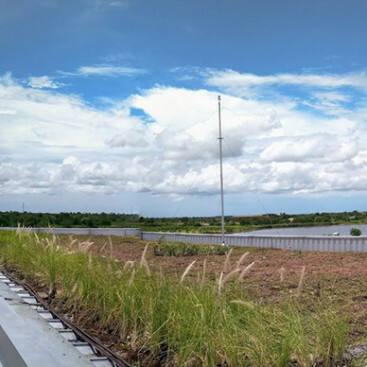 We installed our first factory green roof on a Nishimatsu factory in Thailand together with Ushio – our Japanese lights partner. 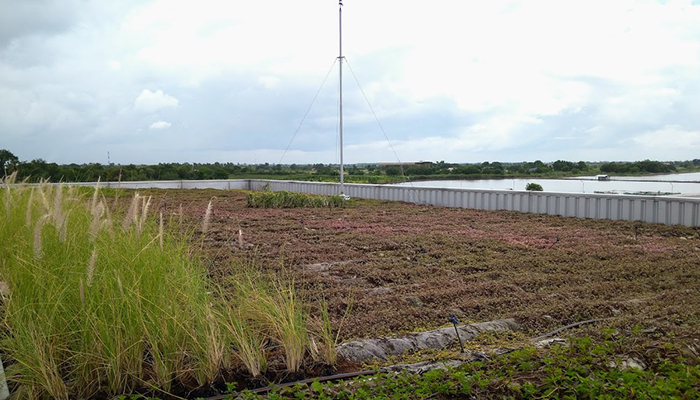 We created a mix of species that will be resistant to drought weather and then monsoon season in Thailand. 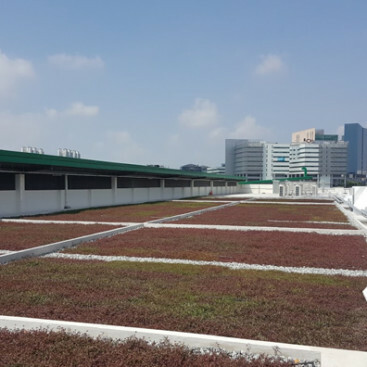 As factories are located in drier areas and have metal roofs, adding a green roof would cool down the roofs, protect the roof and also cool down the factory. 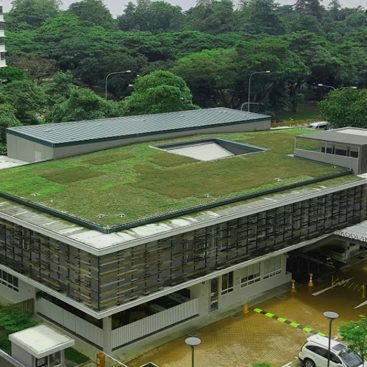 This will reduce the amount of energy needed for air-conditioning and provide cost-savings in the long run. 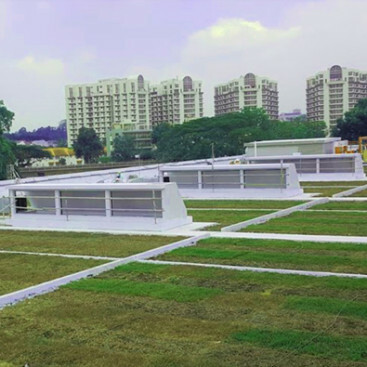 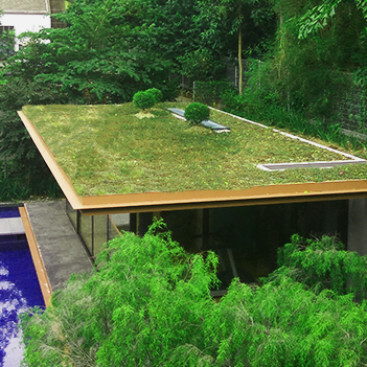 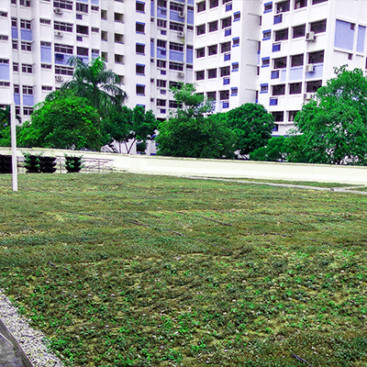 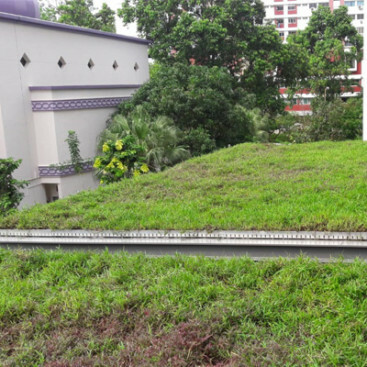 The visually appealing green roofs only took one weekend to install -minimal disruptions with an environmentally friendly roof.